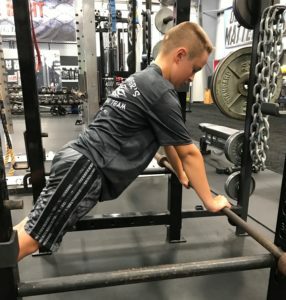 Since starting with PowerStrength we have seen improvements in Trent’s confidence in himself as an athlete and person. He just attended a football camp and instead of blending in, he would be first in line and willing to demonstrate a drill. With a busy summer of camps and other things he always looks forward to his time at PowerStrength, never an issue getting him to go. He talks highly of all the coaches he has, and really enjoys the positive energy they convey. Trent has also improved his eating habits along with ours, as he points of better food choices from a nutritional view. As a parent, we look forward to continuing Trent’s time at PowerStrength, because they are building so much more than just athletes.